Utility room and downstairs w.c.
North Korea remains the world’s most restrictive nation in which to practice Christianity, according to the 2014 World Watch List released by Open Doors, a nonprofit organization helping persecuted Christians worldwide. The hermit kingdom is at the top of the rankings for the 12th consecutive year. The list is compiled of countries where Christians face the most pressure and violence. Other nations included are Somalia, Syria, Iraq, Afghanistan and Iran. North Korean leader Kim Jong-Un’s absolute rule over the country and the lack of accurate information coming out of Pyongyang makes it difficult to know exactly how the Christian community is treated. 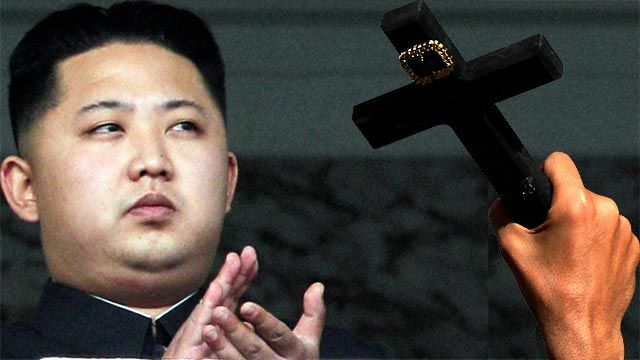 Curry said Kim’s regime might feel threatened by people in North Korea practicing Christianity. “There’s a weird theocracy that’s been developed over three generations … that’s is especially fearful of any sort of spirituality or personal faith that would run contrary to the fact Kim Jong-Un [and his predecessors] … consider themselves Gods,” said Curry.